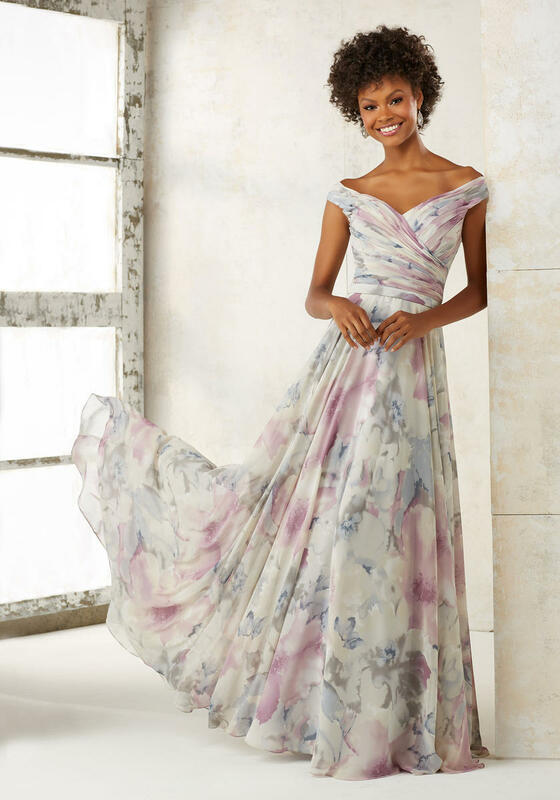 An Off-the-Shoulder Ruched Bodice Perfectly Complements the Flowy Skirt of This Chiffon Bridesmaids Dress Creating a Classic, Elegant Look. Zipper Back. Shown in White Smoke and Eggplant. Available in Printed Chiffon and All Solid Chiffon Color Options.